It's busy, busy, busy this week isn't it! So many good things happening in blogland! And so many posts to be written, so let's get on with Library Loot shall we? Mr Linky is at Claire's blog this week, so be sure to head on over and share your post so we can all have a look to see what loot you got this week. Love in the Afternoon by Lisa Kleypas - This is the last book in the Hathaway series, and I am looking forward to reading it. Real Men Last All Night anthology - I mainly got this for Cheyenne McCray story as I am slowly working my way through all the books that my library has by her. The Cookbook Collector by Allegra Goodman - Now that I have worked my way through the backlist of Carol Goodman, I was looking for an author with a similar feel. A literature map suggested Allegra Goodman (and I am sure that it is nothing to do with the two of them having the same surname) so I am giving her a go. 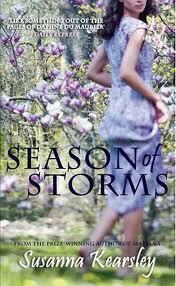 Season of Storms by Susanna Kearsley (reloot) - I am determined to read this book! 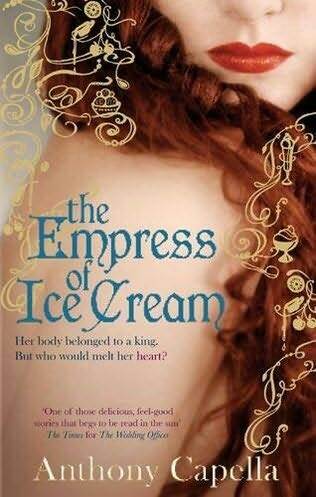 The Empress of Ice Cream by Anthony Capella - This is the final book from Capella that I haven't read yet. For the most part I enjoy his writing and the culinary themes he uses. Pyramids by Terry Pratchett - The next book in the Discworld series for me. Tales of the Otherworld by Kelly Armstrong - The next book in the Otherworld series. This is a collection of short stories. Every now and again, I come across something library related, and I thought that on occasion I will share those items with you. For the first one, here is a video that I first saw at readthis! which features author John Grisham talking about libraries. Lol, better luck this time with your reloot! Oh, I will be very interested in hearing what you think of The Cookbook Collector! I have been wanting to read that one! I've been interested in The Cookbook Collector. Can't wait to hear your thoughts. Enjoy! Real Men Last All Night looks scandalous! It does a little bit scandalous doesn't it Charley! Linda and Zibilee, I haven't heard a lot about it, so I will be coming to it fresh. I read The Cookbook Collector a few weeks ago and wasn't overly impressed, despite having looked forward to it. Hope you have a better experience. I requested Season of Storms through ILL. I hope it comes in soon. Then I have to actually read it. I can be a bit slack reading ILL'd books. No idea why that is! Kailana, ILL'd books are the only ones that I am not slack about reading. Don't want to go through the palaver of ordering again. Claire, we will see I guess. Some times books that don't work out for one reader are perfect for another.